If you don’t know yet who Mark Wolters of Wolters World is as of yet, then allow us to introduce you to one of YouTube’s favorite travel tips and advice personalities. 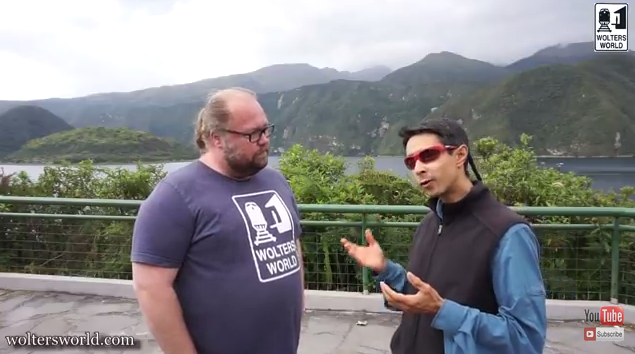 Wolters World videos provide honest first-hand travel advice to help fellow travelers get the most out of their travel experience. From the best and worst parts of travelling, to better preparing you for your vacation in a way that helps you know more about the culture and people of the city, country, or region you are going to visit. From The Shocks of Traveling to a new country, to the Travel Don'ts, to the Things You Will Love & Hate, to General Travel Tips for Packing, Budgeting, Planning, Safety and More, Wolters World tries to help all types of travelers with new videos uploaded every Wednesday and Saturday. Southern Explorations recently hosted the Wolters Family in Ecuador and the first videos of their experience are now available on YouTube! Learn about tipping in Ecuador and visiting Ecuador with children, and check out an interview with Southern Explorations’ very own Ecuador guide Miguel! Don’t miss any of the Wolters World videos, subscribe on YouTube today!